Tinker Bell Pixie character who tries to protect Peter Pan, modelled after actress Margaret Kerry (not Marilyn Monroe as frequently written). Tinker Bell began flying above Sleeping Beauty Castle preceding the Fantasy in the Sky fireworks at Disneyland in 1961. 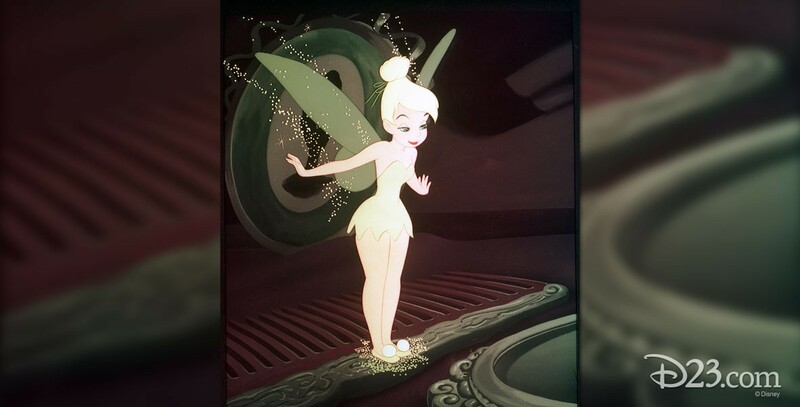 Contrary to frequent usage, Tinker Bell is two words; in Peter Pan she is referred to as Miss Bell.